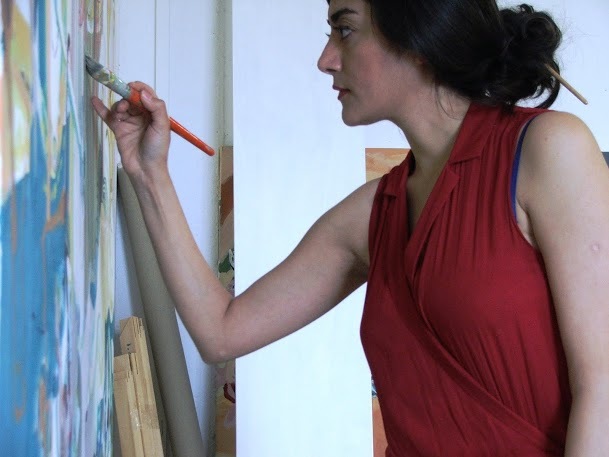 Elham working on a painting. 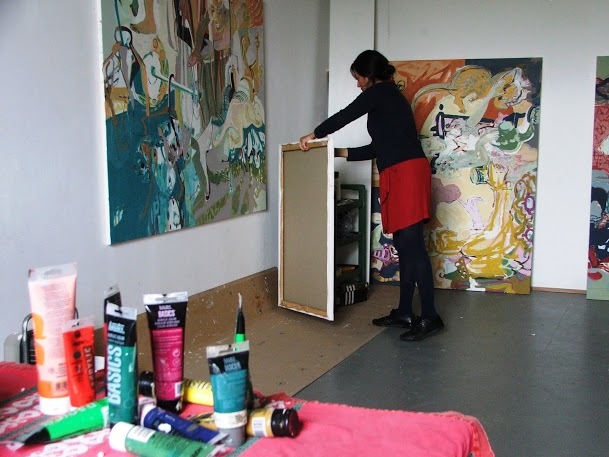 Works in progress and paints in the studio. 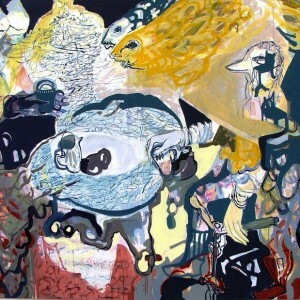 Elham Etemadi is an Iranian artist who was born in Shiraz in 1983. 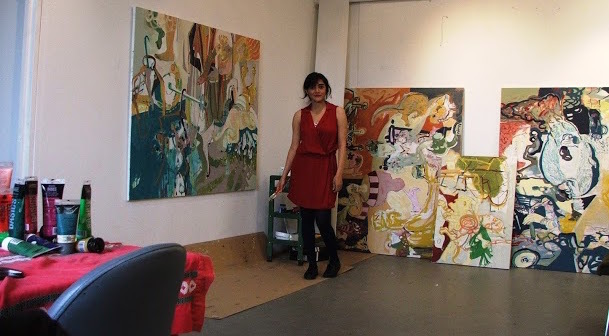 She currently lives in France, and is working on her Ph.D. in visual art in Strasbourg. 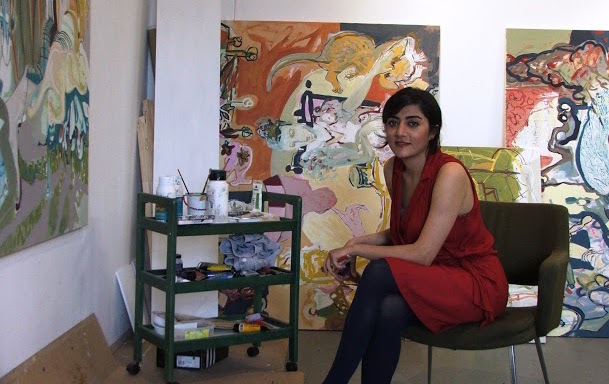 She completed her BA at the University of Art in Tehran, and later received two MA’s in fine art; the first in 2008 from the University of Art in Tehran, and the second in 2011 from the University of Strasbourg in France. 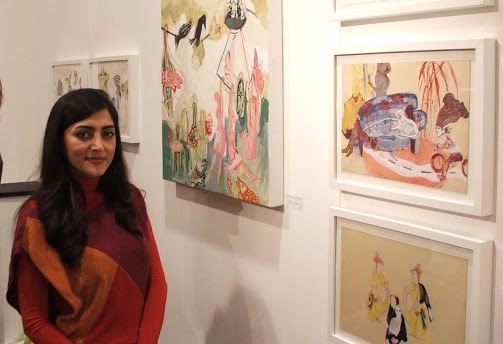 Her artwork derives its inspiration from Persian art, nature, and animals. 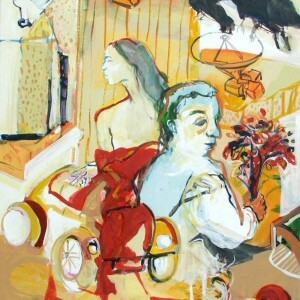 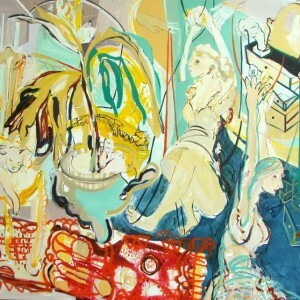 Working with various techniques, her surrealistic and colourful works also portray her strong interest in women’s rights and freedom. 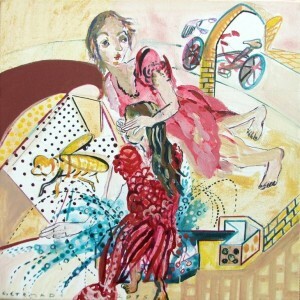 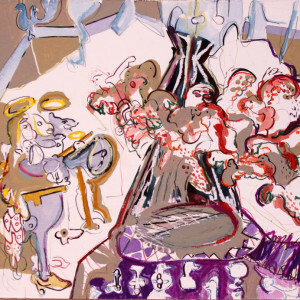 She has exhibited in solo and group shows throughout Europe and Asia since 2005.